2. for the Faroes still present, ssp. deglandi. Second for the faroes if accepted. 1 male (most likely ssp. stejnegeri), Adlergrund, Pomeranian Bay, Tyskland. First for Germany if accepted. 1 ad. male, Keflavík, SW, Island. 3rd Asian white-winged Scoter in Norway so far this year!. 1 male ssp. stejnegeri, Leangenbukta, Sør-Trøndelag, Norge. 1 Ad drake, Keflavik, Island. Returning male (ssp deglandi). Also a female Surf Scoter there. ssp. deglandi, same as in Keflavík. ssp. deglandi, possibly a returning bird. ssp. deglandi; present for 2nd winter. ssp, deglandi, possibly a returning bird. ssp. deglandi; present since 28/11. ssp. deglandi, returning wintering individual. 1 ad. drake ssp. deglandi, Blåvand, Danmark. Returning individual? a deglandi was also seen at Blåvand in 2013. 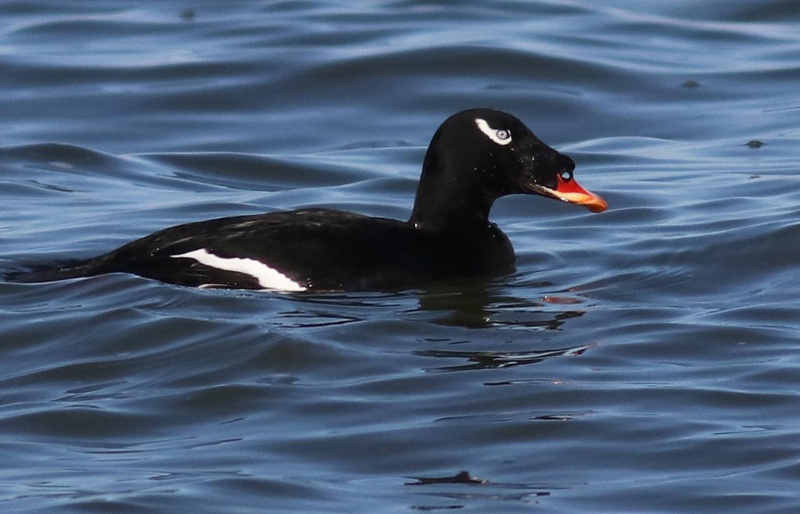 During the last days a Surf Scoter, up to three American Scoters, a Siberian Velvet Scoter and American Velvet Scoter have been seen in Blåvand!. 1 ad. drake ssp. stejnegeri, Blåvand, Danmark. Returning individual? a stejnegeri was also seen in at Blåvand in 2009, 2010 and 2011. 1 drake, Njarðvík, SW, Island. 1 ad. male ssp stejnegeri migr. NE, Utlängan, Blekinge, Sverige. 2nd stejnegeri for Sweden and 2nd found by Mårten Müller. 1 2cy male, Kolgrafafjörður, W, Island. ssp. deglandi, still present by the bridge. 1 1st winter, Kolgrafafjörður (W), Island. 1 ad. male, Garður, SW, Island. Presumably same as in Njarðvík.